Til hverdag og fest - vest er best! CE godkjent nylonvest i knall Blå/limegul farge og reflex. Sluse til å koble trapeskrok og vest sammen. Denne gir god trygghet når stor og liten er ute og seiler. 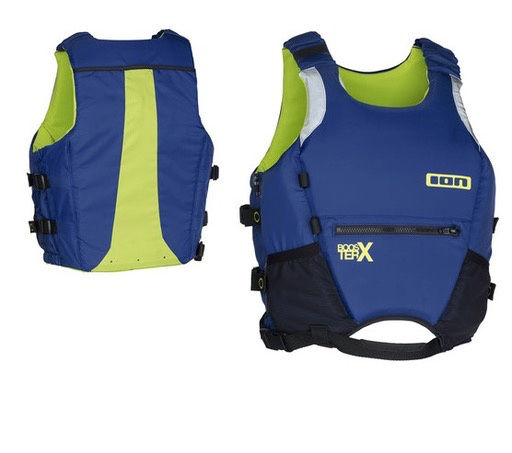 Denne vesten er også CE Norm ISO 12402-5 50N approved according to ISO 12402-5 Pockets: zipper pocket, 2 mesh pockets Hydration bladder compartment Re_Flective (prints) ISO 12402-5:2006 specifies the safety requirements for buoyancy aids with a buoyancy of not less than 50 N used in sheltered waters with help and rescue close at hand under such circumstances where more bulky or buoyant devices can impair the user's activity. 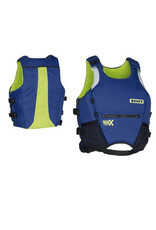 It applies to buoyancy aids used by adults or children.